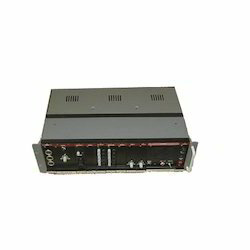 We are manufacturer and supplier of Eight Channel Intercom System in India. Our Customers can avail these channel intercom system at standard market prices. We are engaged in providing a wide range of Industrial type Eight Channel Intercom System. These are provided in different specification to meet the diverse requirement fo client. Elixir make 19” rack mountable intercom system provides Eight Channel Partyline System to operate in the simplex mode. The party channels are selectable by mechanically inter locked latching type switches. The common page channel is always available in receive mode irrespective of the voice channel selected. AGC circuitry provided for even output. Power cord with connector: 1 No. Mating connectors: 5 Pin 240 º. Metal lockable male connector: 3 Nos. 25 Pin ‘D’ type male mating connector with 5 mtrs. Length of 10 pair flexible cable 1 No. Page loud speaker output connector – 1 No. Power supply range: 30 VAC / 110 VAC / 24VDC. 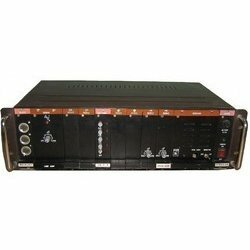 We are engaged in providing a wide range of Eight Channel Partyline System. These are provided in different specification to meet the diverse requirement of client. Elixir make 19” rack mountable intercom system provides Eight Channel Partyline System to operate in the simplex mode. The party channels are selectable by mechanically inter locked latching type switches. The common page channel is always available in receive mode irrespective of the voice channel selected. AGC circuitry provided for even output. Looking for Eight Channel Intercom System ?